Clement C. Moore was born in in New York City in 1779. During his lifetime, he wrote in a variety of forms, including biography, translation, fiction, and poetry. 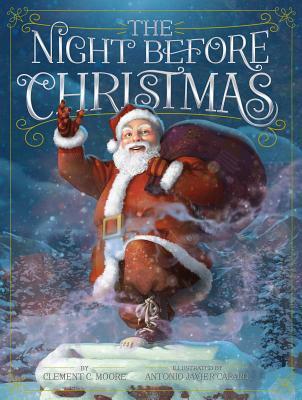 He is perhaps most famous for his poem, “A Visit from St. Nicholas,” which was first published anonymously in 1823, and later became known as “The Night Before Christmas.” The first few lines of this poem are some of the best-known verses of American literature and Moore’s descriptions of Santa Claus have contributed significantly to our conception of him. Moore died in 1863, but his legacy will live on forever.